Milwaukee Co., Wisc. 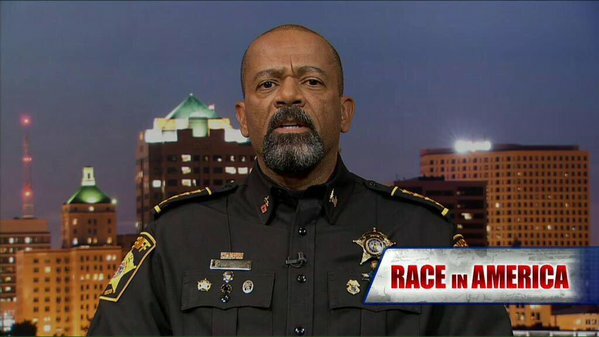 Sheriff David Clarke appeared on Hannity on Monday night and slammed President Obama saying he, “lacks the courage to look at the black community and tell them to look in the mirror as the source of their problems”. Milwaukee Co., Wisc. Sheriff David Clarke (D) argued President Barack Obama “lacks the courage to look at the black community and tell them to look in the mirror as the source of their problems” on Monday’s “Hannity” on the Fox News Channel.